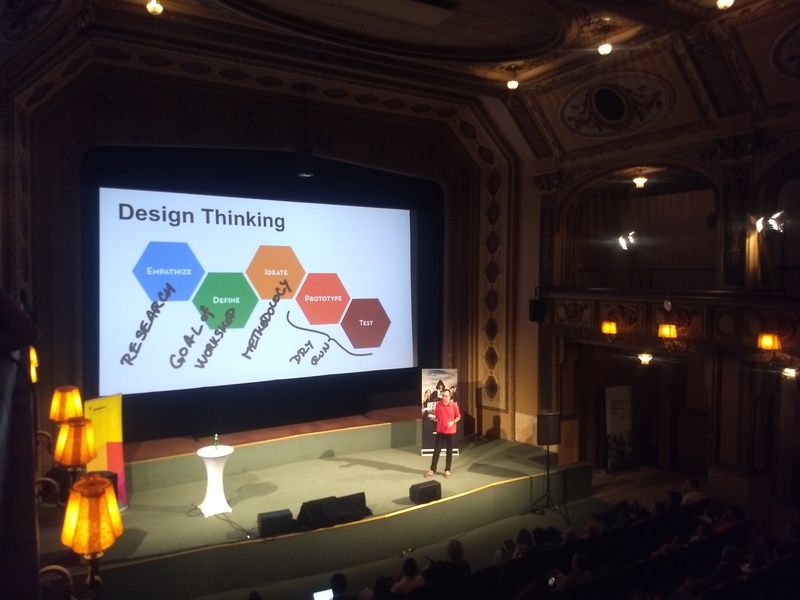 In mid of September I (Claudia Oster) visited the Webexpo in Prague. The program of the 2-day-conference is aimed at web developers as well as at designers and this year the topics were scattered from Design Thinking, Story Telling, AI and Machine Learning to AR / VR to ReactJS and Talks about Performance on the Web. I focused on the design-related talks. In many talks, the use of Design Thinking or Double Diamond as the basis of the design process has been discussed both explicitly and implicitly – from IBM’s “Enterprise Design Thinking” to Firefox’s use of Event Storming and Facebook’s approach to the design process to using it as a basis for workshop design by MSD. It is always about the phases of concrete beginning (for example, clear vision) and then the broad search for ideas. Design Thinking for designing a workshop by MSD. Then it’s time to focus on selecting ideas, implementing them prototypically and testing them. The use of cross-functional teams is always seen as an important part in this process. Agile behavior is perceived as standard in the community and even faster iterations are used, e.g. in design sprints to develop and test ideas with even faster feedback cycles. However, there are still companies in which the agile approach and the integration of UX in this process – including user research and user testing – are by no means the standard. To illustrate this I want to tell you an example: a scrum masters commented in a project: “We do not need to ask people what they want. We are the experts. “- However, it should be clear to everyone in UX or product development that user involvement is the key to the success for every product. Agile and User Research – not always best friends. It was also difficult for the user researcher to understand the advantages the agile process can bring and that the user researcher should also be part of the agile team. This example shows that it is important to get the entire team on board and to provide the whole team with basic knowledge – both on the subject of UX and in the field of agile methodology. How can you get the user so that they “stay with you”? An example of this was the entire story about the “Dollar Shave Club” and the use of a consistent “tone of voice”. 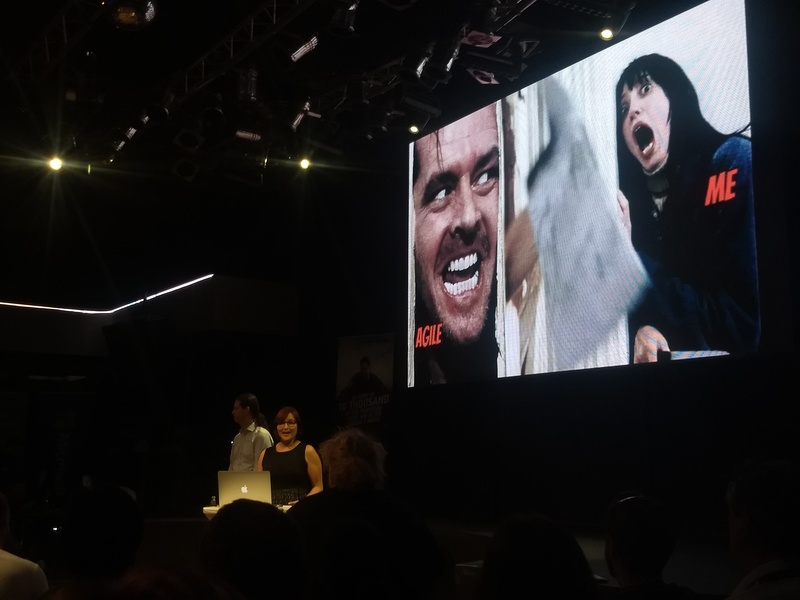 In the talk by Kinneret Yifrah on “Microcopy – how users will fall in love”, she talked about the importance of interacting with the user as if in a conversation and gave the advice “Imagine the user is in front of you – how would you talk to her? “. And fun and joy should be considered when creating the content. Instead of saying “Your browser is out of date”, a website could respond “Love your vintage browser! Unfortunately, it is a little bit too vintage … “. A real-life example was presented in another talk. Ondřej Machart talked about a social network app for the Czech Olympic team in Pyeongchang and how they tried not (!) to increase the usage of the app through notifications or info about likes. The goal of the app was about improving the sense of community for the Olympic team and the exchange of important information – regardless of whether this happens online via the app or offline. Evil-free social network for the Czech Olympic Team. Generally a very great event with interesting speakers and the value for money is very good. It was also the first conference that I noticed very much because of its family friendliness – some babies were there and for the older ones there were own workshops. The collected recordings of the talks are also provided. Projects come and go, Craftsmanship is forever! As in previous years, a delegation from TechTalk again made the pilgrimage to Hungary to attend the Craft Conference in Budapest. The conference was first initiated by Hungarian start-ups Ustream and Prezi in 2014, before bigger players such as Ericsson were on board. Several hundred developers attended the 2016 conference. The aim of the conference is for attendees to reflect on daily work activities in agile environments, to question their own approaches, and increase and strengthen their understanding of software development. Videos of many of the talks can be viewed on the official website. The following summary provides you with a quick breakdown of the most interesting talks from this year’s conference. This year’s keynote speech was held by one of the best-known speakers in the world of software development, Dan North. Dan North manages again and again to captivate his audience, this time while holding a talk on the various types of uncertainty that arise when planning and implementing projects. He offered a number of tips on how to deal with uncertainty, calm any associated fears, and develop successful software. The importance of being on the cutting edge of technology is emphasised by Trisha Gee right at the start of her talk. But the fact that being on the cutting edge also brings its own risks is not immediately apparent to everyone. The JetBrains developer pointed out a number of possible complications and talked about which situations are best suited to new technologies. A more technical presentation was held by Matt Rmney, developer at ridesharing company Uber. He talked about how the software behind Uber was split up into over 1000 different services, and the pros and cons of this approach. As much of what he talks about stems from personal experience, the talk contains a lot of valuable information that may be helpful within the context of your own projects. You can immediately tell that Joseph Pelrine is not just a computer scientist, but also a pyschology expert. And you can also immediately tell that he is not 100 percent convinced by many of the methods and strategies currently used to make estimates in project settings. During his thrilling excursion into the worlds of psychology and social science, he offers a number of tips for optimising everyday tasks and the methods used to make estimates. Daniel Bryant, chief scientist at OpenCredo also delved into psychological aspects of software development in his talk. He emphasised the important of understanding a user’s perspective in order to develop quality software that is also accepted and used. The presentation also dealt with how superiors can develop and maintain a better rapport with their employees. Empathy, says Daniel Bryant, needs to be trained like a muscle to ensure that the capacity to empathise is not lost over time. Developer Bart De Smet gave the audience a preview of some of the new features you can expect to see in the upcoming version 7 of programming language C#. He also demonstrated using the open source C# Roslyn compiler and debugging the compiler in Visual Studio. Which of the features on show will actually make it into the final release is still in the stars, but the audience left the talk visibly impressed and with high expectations. The final presentation at this year’s Craft Conference was held by Tim Steiger, head of Digital & Innovation Strategy at GE Germany. 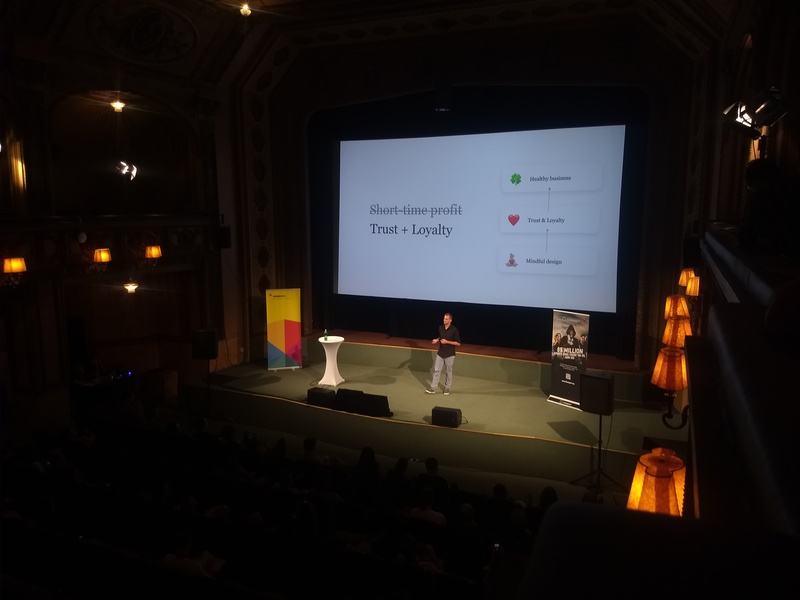 This talk was less technical in nature, and was intended to motivate attendees to make sure they do not simply fall back into old habits after the returning to their offices after conference, but instead try and actively apply what they have learnt. A very humorous presentation that is not just for techies.